RV ADVENTURE BOUND: Big Job. 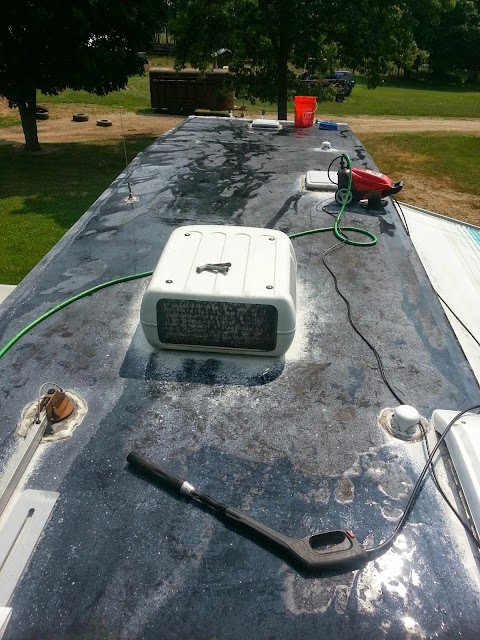 Cleaning the roof to prepare for the seam/seal replacement and the new roof coating. All in preparation for the (4) new solar panels. I thought my job was hard!